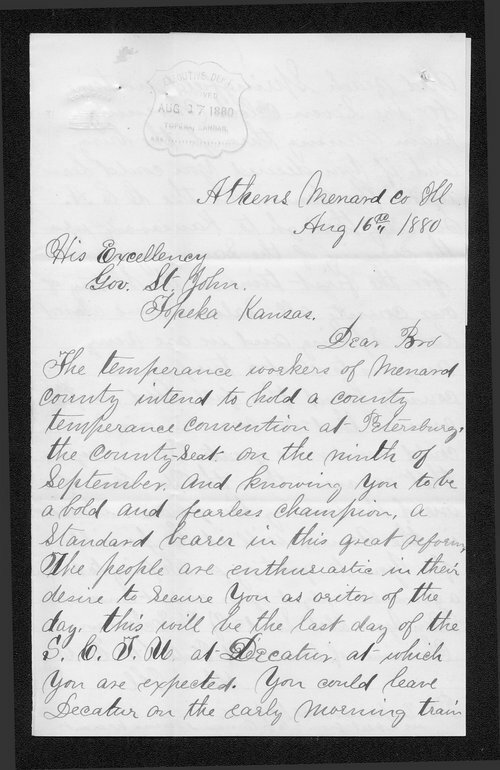 In this letter, Pastor Eckman of Athens, Illinois, invites Kansas Governor St. John, whom Eckman characterizes as the "fearless champion" and "Standard bearer in the great reform", to speak at the Petersburg temperance convention. Eckman estimates thousands of people will attend. The letter was written in Athens, Illinois, August 16, 1880.